There are thousands of people working to educate and revolutionize the way people think about the events industry. We have compiled a list of the top 60 event planning experts on Twitter that planners should follow. This list highlights CEOs, event magazine Editors, and of course innovative event planners, who share original and innovative ideas. Experience as a judge, speaker, or author in this order of importance was calculated out of a total of 40 points: each individual was allotted 25, 15, and 10 points for each respective qualification they held. The remaining three categories were each factored in 20% into each person's total score out of 100 possible points. While the list only features 60 event planners, we considered hundreds of people in our industry before selecting the final 60. So simply making the list is a big accomplishment. Without further ado, here are the 60 best event planners to follow on Twitter in 2016 - in descending order. A freelance eve nt and meeting planner specialist, Janice is passionate about organization, outreach and project management. She has planned and managed over 100 events and conferences for over 15 years. 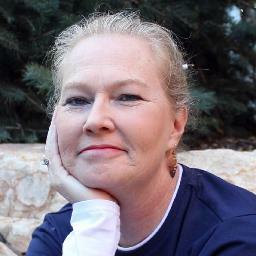 You can find Janice on Twitter tweeting #eventprof advice and retweet the latest industry articles. Yasmin is an event production specialist with a new perspective of the events industry. She is a member of mclcreate, a UK company with over twenty five years of experience in the events industry, with both the technical knowledge and creative expertise to deliver valuable event experiences. Founder and CEO of EVENTagist, Stefania works as a meeting organizer, consultant, speaker and coach for meeting professionals internationally. She has experience speaking at international conferences, trade shows and training courses on Meeting Architecture, hybrid meetings, and more. In addition, she is scheduled to appear at the IBTM Tech Watch 2016 in Barcelona as a judge. Sean is the Co-Founder of Crowdmics, an app that turns your phone into a wireless microphone. Changing the logistics of live events and the success of crowd engagement, Sean is an event innovator and event planning expert who regularly appears on industry Podcasts, and often contributes his thoughts to industry magazines. Loraine is a the Content Chief of Smart Meetings and the previous Assistant Managing Editor at Praetorian Digital. She often Tweets about all Smart Meeting conferences and updates, as well as anything #eventprof related. Editor of Exhibition News, Mash Media's industry leading publication. She is also Editor of We Blog Events, winner of "Highly Commended" in the UK National Blog Awards of 2015 and winner of the "Most Innovative Blog" award at the UK National Blog Awards of 2014. The President/CEO of Melissa Michel, Melissa works with companies in search of assistance with their Trade Shows, Meetings, and Events. A social media strategist and an inspirational tweeter, she offers Virtual Assistant services to Show Manager's, Meeting Planners, and Exhibitors alike. A marketing professional who's been in the industry since 1984 , Liese is owner of Liese Gardner Communications. She specializes in helping brands to bridge the gap between digital marketing and live events to create powerful and PR worthy experiences. A key member of the EnTEEtainment team, Frankie is passionate about event production, while combining her knowledge of the industry to create software TEEtotal. Over ten years, her experience includes being a key part of the production and artist liaison teams at Festival, Radio1s Big Weekend and Radio 1 Teen Awards. Becki is the Managing Director of Events Northern, a conference and event management company based in Preston, Lancashire, which she established in 2004. Passionate about conferences and B2B events, she is a frequent writer and Deputy Editor for Event Manager Blog. Donna helps event professionals to improve revenue performance through her consultancy, Enlighten 123. She works with her loyal clientele on a variety of marketing efforts to engage attendees and increase event revenue. Issa is the Senior Vice President and the General Manager of American Express Meetings & Events. With a track record of successfully leading global business, he is a respected and trusted leader with broad international experience in global B2B. With an astounding 85,300 Twitter followers, Issa shares tourism, events/meetings industry, and American Express Meetings & Events updates. Erin Mills is the Chief Operating Officer of the Michael Alan Group, a marketing and advertising group dealing with product launches, digital integrations, and national tours and specializing in various fields including event production and corporate events. Check out her Twitter for the latest events industry trends and conference updates. Nick is an event management content writer, graphic designer, student organization recruiter, and "nerd extraordinaire" for Capterra (a platform that compares event planning tools). You can check out his articles on Capterra or visit his Twitter profile for other helpful event planning content. Leo is the Senior Editor of Successful Meetings and the Executive Editor of Incentive Magazine. He covers material that include employee motivation, engagement, retention and recruitment, as well as marketing and loyalty programs. You can find Leo on Twitter sharing the latest meetings trends and advice, as well as witty tweets. Mitra is the Technology Editor and Orlando Bureau Chief at BizBash, a leading trade media giant in the events industry. In addition to covering noteworthy events that take place around Central Florida, she specializes in reporting on the newest apps, software, and hardware for events, sharing best practices and case studies, and interviewing thought leaders. With an extensive journalism background, she shares the latest BizBash conference, meeting, and events planning trends on Twitter. When Christy joined the meetings industry 26 years ago, event planning was a concept more than a recognized profession. In the ensuing two and a half decades, she has proudly participated in its evolution. In 2001 she founded Strategic Meetings & Events, which produces mid to large scale corporate events, worldwide. Christy is a nationally recognized, award-winning strategic planner and entrepreneur, writes for multiple industry publications, speaks at conferences worldwide, has a private coaching practice and has taught strategic planning at the University level for the last ten years. Her textbook on Strategic Planning is due out in January of 2017. Darren, CESP, is your well-rounded thought-leader and veteran in the event management industry. Founder and executive producer of a full service event management and production company. With more than three decades of experience, a best selling author and speaker, Darren is also founder of The Event U, which provides Real World Event Education. As head of event marketing for SEMrush (an SEO SaaS company), Kate is responsible for planning, developing, and implementing event marketing strategies related to event sponsorship, conferences and trade show exhibition and more. She regularly shares helpful content on her twitter account, and also hosts weekly chats to help marketers understand SEO. Shawna, CMP, has been planning meetings and events since 1992. In 2008, she founded SPIN, the Senior Planners Industry Network, now the world’s largest association comprised strictly of senior-level planners. An avid speaker and writer, she has been named one of Successful Meetings "Top 25 Most Influential in the Meetings Industry" and "Top 10 Women Influencers in Meetings & Events". Founder and publisher of the MICE blog, Irina is a multilingual event management professional and blogger with experience in the events, hospitality, and tourism sector. The MICE (Meetings, Incentives, Conferences, and Exhibitions) blog targets corporate event planners through topics ranging from event coverage, reviews of MICE destinations, venues, interviews with professionals and more. In addition, Irina runs a weekly Twitter chat #EventPlannersTalk about event management topics. Voted one of the top 100 movers and shakers in the UK Event Industry 2016 and a top 10 Event Industry social media influencer, Helen is an event professional with near 20 years industry experience. She is a Freelance Event Marketer, and Founder and chairman of EWL Club (UK), a new not-for-profit networking club exclusively for event professionals. 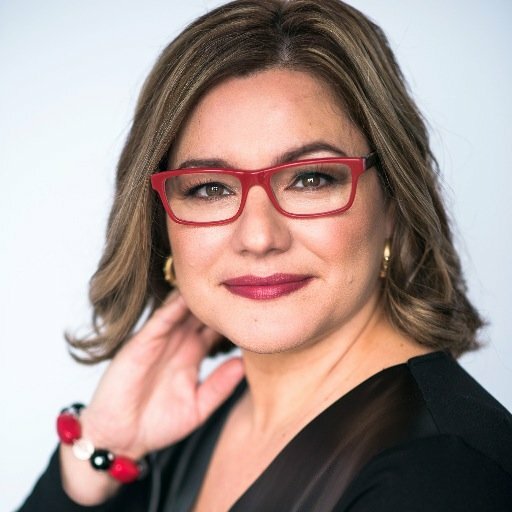 CMM, CMP, and PIDP certified, Milena is an author, international speaker, award winning certified meeting and special events professional who has earned many accolades managing events for corporations, international associations, social clients and not-for-profit agencies. With event planning experience for over 20 years both locally and internationally, she is the CEO of MS Productions Inc.
Elizabeth has been in the meeting and event industry since 2002. Her experience includes hotel catering, sales and operations as well as meeting planning and marketing for non-profit organizations. CHSP and CMP certified, she launched Building Blocks Social Media with a thorough knowledge of key social platforms (including Twitter) and an understanding of content flow within these networks. Alissa Hurley has over 20 years of experience in corporate events and marketing, from tech start-ups to financial powerhouses, non-profit organizations and global brands. A tech-savvy event planning expert, Alissa is National Director, Client Solutions & Emergent Technologies at FMAV. She has been featured in industry publications and as a speaker at various industry events. Annette Naif is CEO and Creative Director of Forté Events NYC. Her work includes corporate training programs, non-profit, conferences, live coaching events, retreats, tours, incentive programs, sales meetings, galas and private social events. Her background includes film and television production and corporate event development. Publisher of PlannerWire, a Managing Partner at i3 Events, and an award winning writer, Keith has 15 years of experience of planning strategic meetings, conferences, and incentives for clients. He has a deep understanding of how social media content marketing and technology impact the attendee experience. He has written articles and been quoted in many industry magazines including Plan Your Meetings, Event Solutions and Meeting News. As the Executive VP at Velvet Chainsaw Consulting, Jeff is considered one of the leading authorities in the meetings industry on adult education, conference design, digital events and social media for events and associations. He speaks and blogs frequently about meeting and technology trends, the future of conference education, adult learning, and all things meetings at Velvet Chainsaw. Laura is the Senior Community Manager at Social Tables, a platform used to source, plan and execute nearly one million events since 2011. She puts the “social” in Social Tables through facilitating face to face and digital interactions between members of the events industry. You can find her on Twitter tweeting the latest #eventprofs updates, and sharing photos of her forays into Washington DC's DJ and craft beer scenes. A Managing Editor at Smart Meetings, Holly excels at providing event planners with information that makes them better at what they do. Whether she's reporting on a travel destination or curating content, Holly is an event planning expert with the ability to discover unique, inspiring stories. Barry has worked as an events professional for over 14 years creating, producing and managing events across Europe for global clients such as Google, Microsoft, and Coca-Cola. He is currently the Head of Events in Verve - The Live Agency. 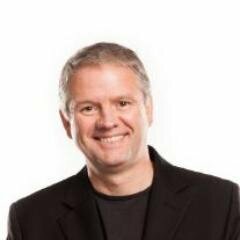 Paul is the director of Event Industry News and Co-Founder of the Event Technology Awards, Event Tech Live & the Festival Supplier Awards. EIN is an online event magazine that provides the latest events industry insights and updates. The Event Technology Awards recognizes the achievements of companies delivering digital solutions and innovative technology to the events industry. Tim Sae Koo is the Co-founder and CEO of Tint, a platform that allows you to display your social media content in real time on any screen. Mr. Koo regularly shares content on event planning, social media and entrepreneurship on his Twitter account. Phil Mershon is the Director of Events for Social Media Examiner, where he oversees two signature events: Social Media Marketing World and Social Media Success Summit. Previously, Phil was a training consultant with Koch Industries and spent over 20 years working at non-profits in leadership roles. Phil is also a jazz saxophonist and songwriter. Mr. Jackson has been an influential thought-leader with some of the world’s most respected marketing services groups, including Interpublic, Grey and Saatchi. Working with a vast range of brands, from Adidas to Zumba, he is a an event planning thought-leader like no other. Jim is the owner of Exhibitor Smarts a specialist agency that works alongside exhibition organizers and suppliers. Exhibitor Smarts has a focuses on projects that improve exhibitor acquisition, engagement, growth and retention. 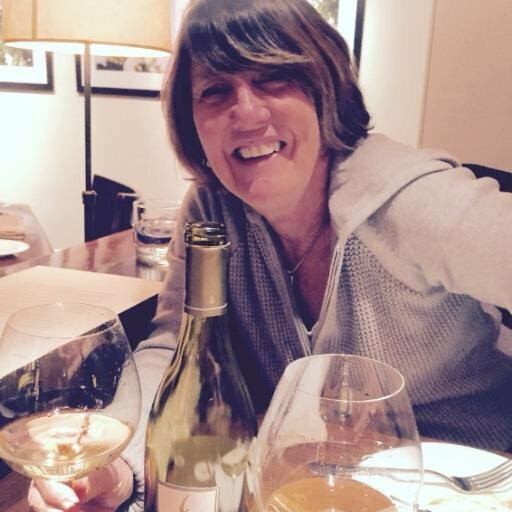 Sue, who has been with MeetingsNet since 1998, previously wrote for and edited several national and international trade magazines and newsletters for the environmental industry. A Phi Beta Kappa graduate of the University of Colorado, Boulder, she also helped to plan a technical trade conference and several other meetings. As founder of Endless Entertainment, Will Curran has been named one of the 40 under 40 event industry leaders, 35 entrepreneurs under the age of 35, and founded Endless Entertainment, Inc Magazine’s Coolest College Start-up, all before graduating college. Having experience in the events industry going back to his high school days, he started his first company and has now worked in production of large event clients such as Emerald City Comicon and Anheuser-Busch. Dubbed the triple threat, her knowledge about the hospitality industry, the planner audience, and her passion for technology is impeccable. With more than a decade of experience as a professional speaker and certified Evernote business consultant, Dahlia was the founder of The Meeting Pool, a go-to source for event professionals. She launched her own events agency DAHLIA+, designed for the next generation of the meetings and events industry. With 20 years experience in the meetings and events industry, Brandt has spoken at numerous industry events and seminars all over the world, been published in many industry magazines and websites, and teaches public and private classes on event technology. He is a freelance Technical Producer and is the owner of Event Technology Consulting. Dr James Morgan is the Founder of Event Tech Lab, a global partnership community for event technology start-ups, a Senior Lecturer in Events at the University of Westminster, London and also sits on the International Education Council of the International Live Events Association. He is also a staff writer for Event Manager Blog. 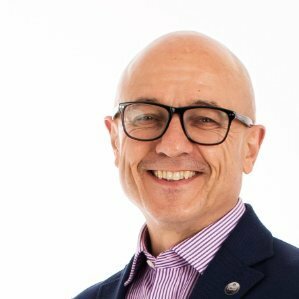 As a respected speaker, awards judge, writer and industry commentator James is passionate about educating the event professionals of the future and takes an avid interest in promoting quality standards and professionalism in the events industry. A writer, blogger, and technology journalist, Michelle develops content and content strategies for event-industry companies at her company Bruno Group Signature Services. CMP and CEM certified and a former supplier and conference planner/trade show manager, Michelle has a unique perspective of the live-event industry, blogging about it in event-industry publications. She has been a judge at the Event Tech Awards and IBTM’s Technology and Innovation Watch. The Rock-n-Roll Technology Educator President of Meeting U, whose mission is to help people become more productive and comfortable with technology, Jim delivers over 150 seminars annually on how to use tech more efficiently. Named one of the Meeting Industry’s trendsetters by Meetings Focus magazine in 2015, he has been an adjunct faculty of professional and continuing studies at New York University since 1990. An experienced speaker and judge, technology evangelist, and senior sales executive at Grupo Eventoplus, Alex got into the events industry at the ripe age of 18. Eventoplus is the leading online and offline media group dedicated to the event industry in Spain, Argentina and Mexico, and manages Eventos Magazine, Premios Eventoplus (the awards of the Spanish event industry) and organizes EventoDays, a selective trade show dedicated to events. A managing Partner at SoolNua, a marketing agency working with destinations, venues and hotels, Padraic currently serves on the Hospitality Partners Advisory Council at FICP, on the Advisory Board of the Special Event and on the Board of the SITE Foundation. He is also a judge for the IBTMWorld tech awards, occuring from November 29th - December 1st in Barcelona. Sandy Hammer has over 20 years of marketing experience from the publishing, arts, and tech industries and from starting 2 businesses. She co-founded AllSeated, which is a free online application that offers floor plans to scale, guest lists, and seating arrangements. 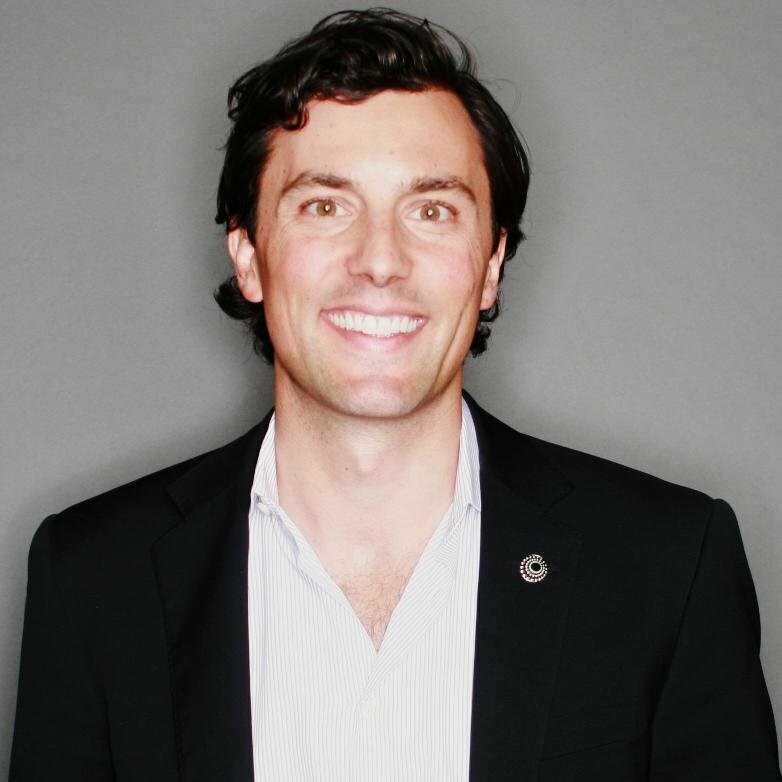 With 41 articles published, 18K social shares, and 17M social reach, Chris is president and co-founder of Convene, a company that owns and operates a network of full-service executive meeting centers. One of Inc.’s “30 Under 30”, Chris is an expert in innovation, growth initiatives, and the work experience. Dave Lutz, President of Velvet Chainsaw Consulting, is a business improvement consultant specializing in the convention & meeting industry. His clients include a number of industry leading technology and service providers, hotels and associations. He is a frequent industry speaker, facilitator and author specializing in large conference innovation and growth. The physicist turned event (re)designer, Adrian is an acknowledged innovator and speaker. Author of Conferences That Work and The Power of Participation, he was named as one of the most innovative event professionals by BizBash Magazine and was even quoted on the front page of the Wall Street Journal. His expertise has helped him consult on conference (re)design, facilitate entire conferences, individual sessions, and lead interactive workshops. The Event Planner Superhero Liz King is the CEO of techsytalk, an online platform that bridges the gap between event technology and the event planner. She is also the Founder of Liz King Events, an event firm that plans conferences and meeting, branded events, and product launches. Mr. Berger is the Founder and CEO of Social Tables. He has been recognized as an industry leader by publications including BizBash and recognized 40 Under 40 in the meetings industry by Collaborate Magazine and Connect Meetings. He serves on the Convention Industry Council’s Apex standards committee and on the Philadelphia CVB’s Customer Advisory Board. Miguel has been active in the Meetings Industry since 2005 and has a master’s degree in Conference and Events Management from the University of Westminster. At IMEX Group he holds the title of Senior Online Community Manager a role with a focus on strategic management of IMEX’s social media and online community presence. Adam Parry is the Editor and Founder of Event Industry News, an online news portal for event professionals, covering topics from event management to trends within the events industry. Experienced as a feature writer, he has developed the news portal to build relationships within the industry and provide an interactive platform for the industry. 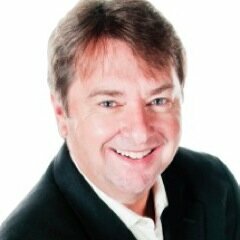 He is also the Director of both Event Tech Live and Event Technology Awards. With 20 years of experience running global tech meetings at his own tech consulting group, it comes as no surprise that Corbin Ball has snagged the title of one of “The 25 Most Influential People in the Meetings Industry” five times. As a meetings technology speaker, consultant and writer, he is the only person to have received both the MPI International Supplier of the Year and MPI International Chapter Leader of the Year Awards. Rachel Wimberly is Editor-in-Chief of the Trade Show News Network,the number one online trade show industry news source in the United States. She has worked as a reporter for Variety magazine and as senior editor for Tradeshow Week magazine before TSNN, where she launched six newsletters and grew the brand dramatically. Wimberly is a board member of the Association of Women in Events (AWE) and the International Association of Exhibitions and Events. Alon Alroy is the Co-Founder, CMO & BizDev of Bizzabo, a world’s first all-in-one event success platform that helps organizers create successful events. As CMO, he leads Bizzabo's Marketing and Customer Success activities from the company's New York office. No stranger to the needs of event planners, he was named one of the 2013 meeting industry’s “40 under 40 young leaders” as well as one of the top CMO’s in the event planning space. He was also a member of the NYC Venture Fellows and is a graduate of IDC's Zell School of Entrepreneurship. 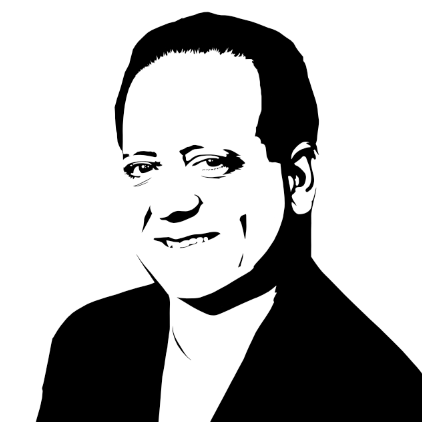 David Adler, CEO and Founder of Bizbash, is a veteran in media, marketing and PR. He founded and led Bizbash to become the largest media property in the events industry, with nearly 1.5 million annual user sessions. In addition to his major contribution to the event planning community, Adler has recently served in various volunteer roles with U.S. State Department as a consultant to the chief of protocol on numerous projects. Julius is the editor of the Event Manager Blog, a blog started in 2007 targeting event professionals and ranging in topics from event planning to event technology. The author of numerous publications including The Event App Bible, The Good Registration Guide, and Social Media for Events, he was named one of the “25 Most Influential People in the Meetings Industry." Event Manager blog is listed by Inbound.org as the 28th best marketing website, listed alongside publications like: Search Engine Journal, Hubspot, and CMO.com. We hope that this list of 60 of the most influential event planners online will help to connect you with thought-leaders who can help plan better events. Though we are confident that our data-based analysis has highlighted worthy event planning thought-leaders, let us know about other event planners we should consider for future lists in the comments below!